Standard zoom lenses, also known as a multipurpose zoom, zoom, normal zoom, or general-purpose zoom, are designed to be versatile enough to be useful in a wide variety of circumstances. The name sort of gives that away. There are other types of zoom lenses, of course. Some cover wide-angle or telephoto territory exclusively. Others have a wider range of focal lengths than general-purpose zoom lenses. Standard zoom lenses, though, cover the focal length range that you need most of the time for everyday photography. In other words, the “sweet spot.” They dip into wide-angle territory, fully encompass normal focal lengths, and extend into the telephoto range. This makes them very handy lenses to have. Standard zoom lenses come in all price ranges. Most kit lenses are relatively inexpensive. Manufacturers try to keep costs down when bundling the camera and lens together. There are also mid-level zoom lenses and professional models that cost upwards of $2,000. Pro-level lenses, like that shown (AF-S NIKKOR 24–70mm f/2.8G ED), are fantastic. They have better optical qualities and construction than less expensive models, can stand the rigors of shooting without breaking as easily, and take outstanding photos. 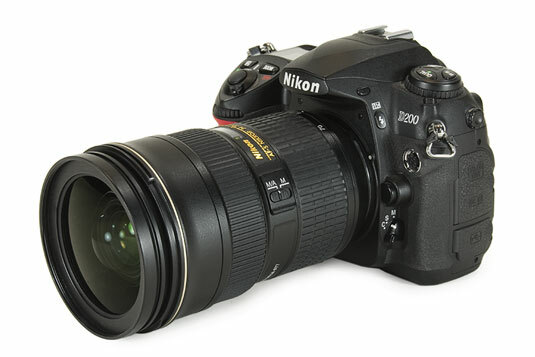 Zoom lenses range from inexpensive to professional models like this one. Experiment with different shooting modes: You can use any of your camera’s shooting modes with a standard zoom lens. Scenes and Auto are real helpers if you’re just beginning. It’s fun and pretty easy: You don’t have to be a rocket scientist to use a general-purpose zoom lens. Walk around, point your camera at things you see, zoom to frame the shot you want, and then snap the picture. Having a zoom lens lets you flexibly frame subjects at different distances.